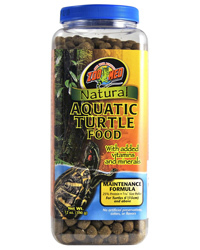 A low protein floating pellet food for all kinds of aquatic turtles. Lower protein levels ensure proper shell development and healthy internal organs. We made them float so your turtle can feed at the surface. This means less uneaten food and spoilage.